We were celebrating a 70th with BBQ and nibbles, and this seemed to be a real crowd pleaser! Boil the eggs in a big saucepan over medium heat. 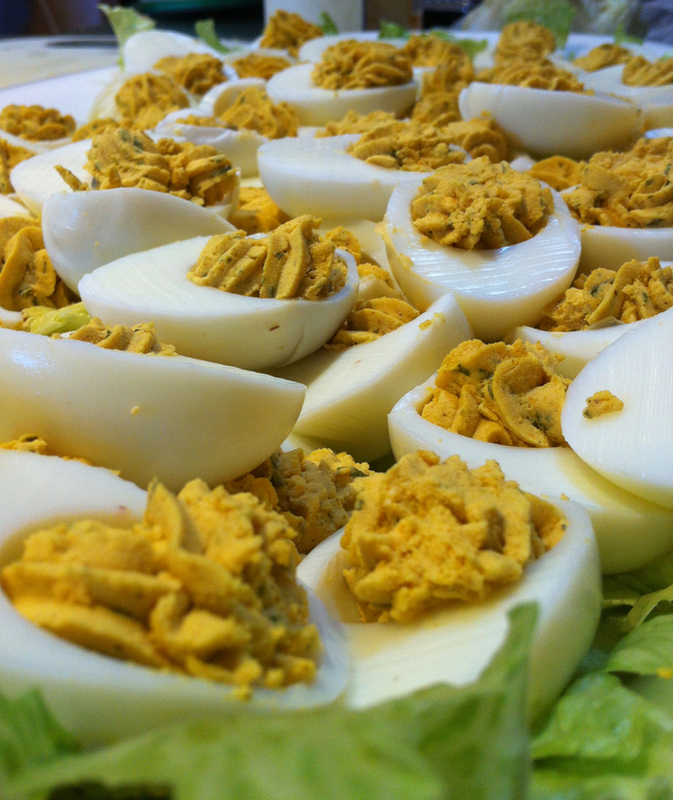 Let the eggs cool down after being hard-boiled by dipping it in lukewarm-cold water. Peel the egg shells away from the eggs. Cut the eggs into halves (lengthwise) and scoop out the yolks into a bowl. Place the egg whites on a big plate. Add a handful of parsley, 2 tablespoons of mayonnaise, 2 tablespoons of thickened cream, a pinch of salt and pepper, and 3-4 tablespoons of curry powder into the yolk mixture. Combine this yolk mixture till you reach a relatively smooth consistency with no huge lumps. Place a small portion of the yolk mixture into the egg whites. Serve cold after storing in the fridge for about two-four hours with paprika (optional).